ST. 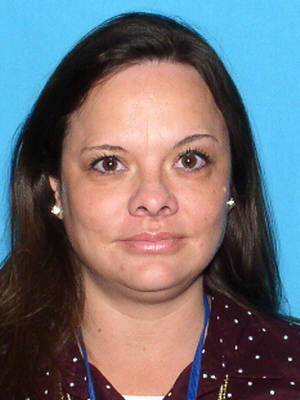 CLOUD – Authorities say an Osceola County school employee Sara B. Moore, 35, as been charged with multiple counts of sexual battery involving an underage victim. St. Cloud Police Sgt. Denise Roberts tells local media outlets she was arrested at her home. Moore is charged with 10 counts of sexual battery by custodial victim upon a person between 12 years and 18 years of age. During the investigation, the victim, described as a 14-year-old in a police report told investigators that they had several sexual encounters at the suspect’s home at 3717 Moon Dancer Place in the Esprit Subdivision in St. Cloud and at other area locations. According to the police report, investigators were notified Saturday that the illegal contact had taken place. Witness statements in the report said the victim left unannounced with Moore, called “the mother of a friend” in the report, even though the victim and Moore were both told he wasn’t allowed to go on four specific occasions during Thanksgiving and winter holiday break. The victim said the encounters began in October, and according to the report happened as many as 10 times at her home and as many as 15 times in a white SUV she drove. Police later confirmed Moore, had a 2015 GMC SUV registered to her, in which investigators found a blanket with biological fluids during a search later on Saturday. Interviewed later on Saturday, Moore said she viewed the victim “as an adopted son” and the family took him on vacation with them to California last summer. The report also said the two rode to Harmony to drop off a present one day during winter break, but only stopped at a pharmacy along the way. Moore reportedly would not supply a DNA sample and would not take a lie detector test without speaking to her husband first. Based on the statements and evidence, Moore was arrested and taken to the Osceola County Jail where she is being held without bond. She was scheduled to make an initial court appearance Monday afternoon. According to the Osceola County School District, Moore had been employed with the district since April 30, 2014. Since substitutes are non-contractual employees, she was terminated.